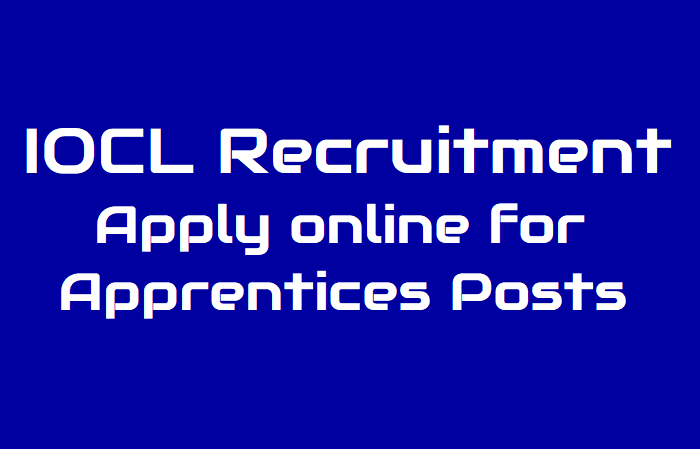 IOCL Recruitment 2019 Apply for 420 Apprentice Posts at iocl.com: IOCL) has invited candidates to fill up Technical, Non-Technical and Technician Apprentice posts. The last date to apply for the job position is till February 10, 2019. Indian Oil Corporation Limited (IOCL) has invited candidates to fill up Technical, Non-Technical and Technician Apprentice posts. Candidates who want to take up this job opportunity can apply for the posts via the official site of IOCL at iocl.com. A total of 420 posts of various Apprentice will be filled up. The last date to apply for the job position is till February 10, 2019. Educational Qualification: Candidates should have passed Class 10 with 2-year ITI course for Trade Apprentice and candidates should have 3 years Diploma in required discipline for technician apprentice. The selection process consists of two stages- a written test & interview. The written test will comprise of 100 questions and shall be of 90 minutes duration and would mainly comprise of objective type of questions. The questions would be bilingual i.e... English and Hindi. The second round is of the interview. The verification of the original documents shall be done at the time of conduct of Personal Interview. Candidates can apply for the position till February 10, 2019. The official notification for the job post is available at official website. IOCL 2018 Recruitment Apply for 307 Apprentices Posts through iocl.com. Indian Oil Corporation Limited (IOCL) has invited applications from eligible candidates to apply for apprentices posts. The last date of application for the post is till November 27, 2018. Candidates interested in the job profile can visit to official site of IOCL at iocl.com and apply on it. The online application begun from November 14, 2018. The qualification prescribed shall be from a recognised University/ Institute as full time, regular course or full time, regular Diploma course. Candidates should be between age group 18 to 24 years to apply for Apprentices post. Selections for engagement of Apprentices would be based on written test and personal interview. The written Test will be of ninety minutes duration & would carry a weightage of 85%. The maximum weightage for interview will be 15%. The apprenticeship training will be carried for 12 months. The date of written test and personal interview for all disciplines will be informed to the candidates on it. For more information, candidates can visit the official notification of IOCL or can visit the official site of the same for updates. i. The candidate must have an active email ID and Mobile Number which must be valid for at least next one year. All future communication including Corrigendum/ Addendum with regard to this advertisement with candidate will take place only through www.iocl.com / e-mail / SMS Alerts. iii. The candidate must ascertain the correctness of all information before filling in the ‘Online Application Form’ and its final submission. The candidate shall be wholly/exclusively responsible for the information provided in his/her online application form. (https://www.iocl.com/PeopleCareers/job.aspx) and apply on-line from 14.11.2018 to 27.11.2018. Only online mode of applications will be accepted.